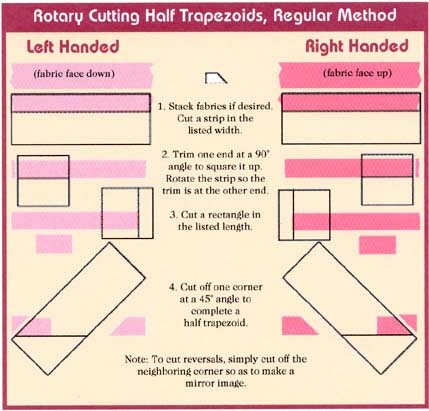 Below you'll find 2 different methods for cutting half trapezoids. 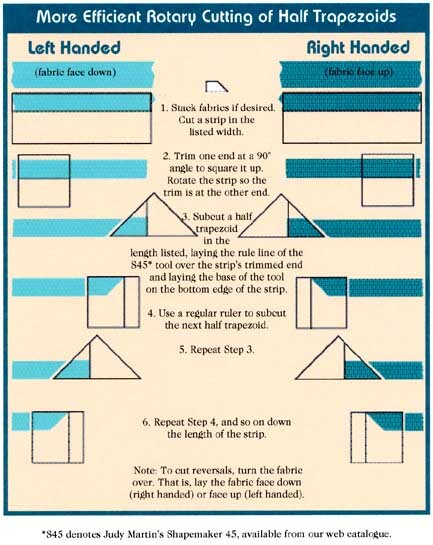 The second method uses my Shapemaker 45 tool, which you can learn more about in the Products section of my web site. The S45 allows you to cut this shape with fewer strokes and less fabric waste. I like that idea, don't you?